The ties between Auto Arabia and Germany are very strong. Not only do we conduct most of our test-drives on the Autobahns and the different racing circuits like Hockenheim and the Nuerburging in Germany, but also our managing editor Mohamed Sheta is a well-known automotive and motor-sport expert, whoâ€™s opinion is always wanted and taken into consideration by many car companies and motor-sport organizers in Germany. 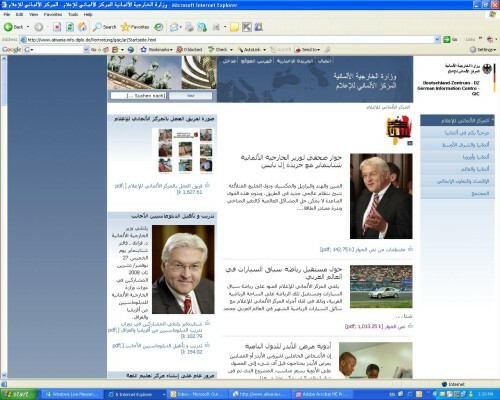 In addition to that we also had the pleasure of having the former German Ambassador to Egypt, H.E. Martin Kobler, testing with us the BMW 520i and giving us his opinion in our 'VIP Test-drive' section. This was the first time in Egypt we saw an ambassador doing such a test-drive with an automotive magazine. This week the Information Centre of the German Ministry of Foreign Affairs interviewed Auto Arabiaâ€™s editor Mohamed Sheta and talked with him about the automotive and motor-sport scene in the Middle East and Germany. 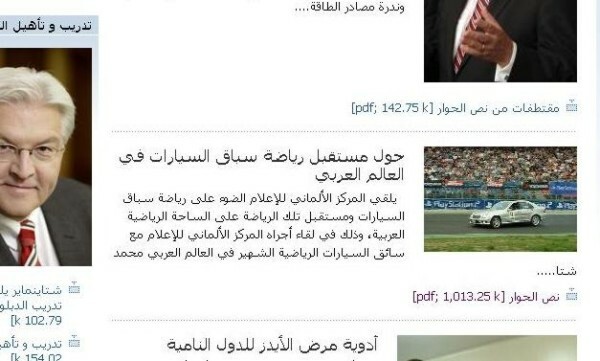 In this interview, which was conducted in German and published on the Arabic website of the German Ministry of Foreign Affairs, Mohamed Sheta also talked about the importance of having national drivers and national sponsors involved in the motor-sport racing series in Egypt and the Middle East. He also talked about the different racing series like the Volkswagen New Beetle Cup and the Drift Challenge in which he participated in Germany. Sheta furthermore explained how some Arab ambassadors in Germany promoted their local motor-sport events, like the Formula 1 GP in Bahrain, at German motor-sport events and in the German media. In addition to that Sheta gave an analysis on the current situation and the future of motorsport in Egypt and the Middle East region, in which he explained the missing public and media awareness of motor-sport in this region. He also explained what Auto Arabia has done so far in order to support motor-sport in the Middle East. Last but not least he talked about the Road Safety & Safe Driving campaign which Auto Arabia has started in Egypt in order to reduce the numbers of road crashes and road fatalities on Egyptian roads. Very interesting interview with very interesting information I was not aware of.